The T-Mobile myTouch 3G ​​with Google’s Android operating system, which competes fiercely against the iPhone 3G S for AT&T and Palm Pre for Sprint, has the second-highest cell phone radiation level of any handset in a new, easy-to-digest consumer guide of 1,000 cell phones and smartphones. That begs the bigger question on the phone you’re using now or about to purchase: Are cell phones safe or do they cause cancer? It’s one of the oldest questions in the cell phone book for which we still don’t have a conclusive answer. The good news is that researchers continue to churn out studies and burn through funding (and ask for more money) to get definitive answers. But just like food must be labeled with nutritional facts, the same argument can be made that cell phones should list their radiation output. In the meantime, we at least have a standard by which cell phone radiation is measured and sometimes reported. It’s called SAR, which stands for specific absorption rate. In North America, a cell phone’s SAR rating is measured between 0.0 and 1.60 with 1.60 set by the Federal Communications Commission (FCC) as the maximum level of radiation permissible. Using the SAR measurement standard, we now also have a non-profit organization called the Environmental Working Group (EWG) that has published an important online consumer guide reporting in excess of 1,000 cell phones, PDAs, and smartphones on how much radiation they emit. The EWG, by the way, is the same group that publishes the helpful Skin Deep cosmetic safety database. With 4 billion people on the planet talking on cell phones or 60 percent of the world’s population (according to the EWG), 270.3 million wireless subscribers in the U.S. or 87 percent of Americans as of Dec. 2008 (according to the CTIA) and recent studies finding “significantly higher risks for brain and salivary gland tumors among people using cell phones for 10 years or longer,” the question of your exposure is critical and prescient. How Does Your Cell Phone Rate? Talking on your cell phone isn’t like having an X-ray. To quantify your radiation level, though, you can now look your cell phone up at the EWG’s radiation guide so you know if you’re chatting away on one with a high SAR (not preferable) or low SAR (preferable). While some cell phone carriers list this SAR information (i.e. Verizon Wireless does this relatively well), there’s currently no standard across the industry because there hasn’t been governmental action to require it. Some carriers divulge the information and others don’t. But the EWG has amassed 1,000 cell phones and their SAR levels in one place. The T-Mobile myTouch 3G, for example, has a maximum radiation level of 1.55 W/kg when held to the ear, the EWG says according to the phone’s manufacturer. This SAR level is just slightly under the FCC-mandated legal maximum and could be of concern to consumers. By contrast, the lowest SAR rating for a cell phone in the EWG’s guide is the Samsung Impression (SGH-a877) for AT&T, which has a maximum SAR level of 0.35 W/kg when held to the ear, the EWG says according to the phone’s manufacturer. 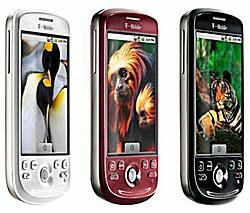 The EWG says the iPhone 3G S rates at a somewhat high 1.19 W/kg and the Palm Pre rates at a lower 0.92 W/kg. While we wait for definitive answers to surface about cell phone safety and radiation, the purpose of the EWG guide is to help consumers pick out cell phones with low SAR levels. The EWG’s top 10 best cell phones and smartphones (with low radiation) can be found below along with the top 10 worst (with high radiation). These handsets are listed from best to worst in the best listing and start with the worst in the worst listing. In addition to knowing your current or new cell phone’s SAR rating, the EWG also recommends eight safety tips ​to help you easily and immediately lower your cell phone radiation exposure. Here are five more ​tips as well from Barton Publishing. The EWG’s guide allows you to search for your specific make and model – so long as it’s in their database – and you can also find cell phones by cell phone carrier and cell phone manufacturer. You can access the EWG’s full cell phone radiation guide here.